Need to get HP F4210 inks? Check out Cartridge Save! Doing your research just for new ink is a time intensive bother, particularly if it requires being forced to drop by or maybe make contact with many different suppliers. However, buying F4210 cartridges doesn't always have to have to be a taxing time. Buy all your HP F4210 printer cartridges here at Cartridge Save. Totally Free Overnight Delivery On HP F4210 Print Cartridges! Completely free next day delivery comes as a part of the deal with every purchase any time you purchase discounted HP cartridges. HP F4210 ink supplies off Cartridge Save are always covered by means of money-back pledge. In the instance that you've problems, merely send us your order to get your 100 % refund! When there are phenomenal discounts like ours it's impossible to not spend less because of Cartridge Save! Designed for printing, scanning, and copying, the Deskjet F4210 is another excellent option for homes and small offices. This space, time, and money saving solution prints 14ppm in black and 13ppm in colour – fast enough for average printing requirements. The Deskjet F4210 boasts a print resolution of up to 4800x1200 dpi and a scanning resolution of 1200x2400 dpi. The printer is not very ink-efficient, though, and some functions are lost without direct PC connection. 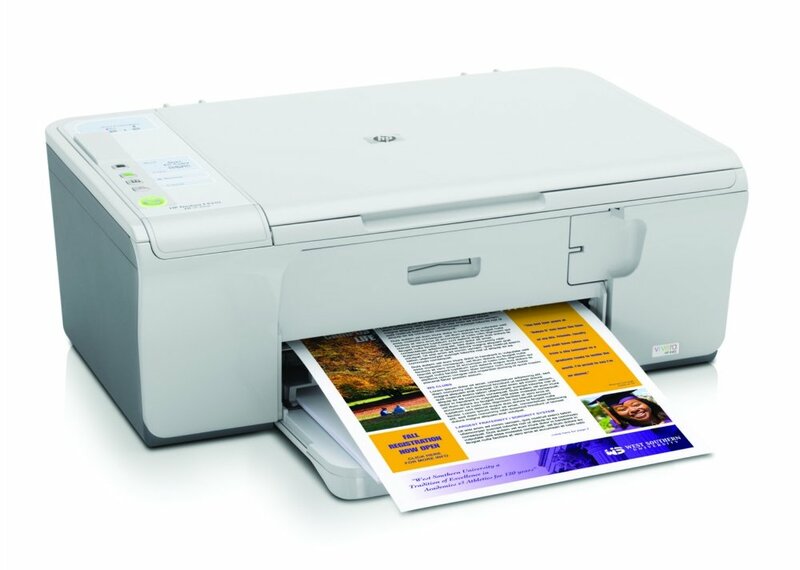 A typical all-in-one printer, the Deskjet F4210 measures only 6.36x17.22x11.43". The scanner is right on top of the machine, and the control panel sitting on the left side, right beside the flatbed. It has a USB 2.0 interface. Being part of HP's more environmentally friendly line of products, the Deskjet F4210 is Energy Star certified. HP's Deskjet F4210 is a reliable machine when it comes to printing, offering decent print speeds and good quality outputs. The copy and scan features are superior; the copier function even offers up to 400% digital zoom. It is a good multi-use printer for the home and a small office, but bigger workspaces may want a more versatile and cost-efficient device. On the downside, the HP Deskjet F4210 is expensive to maintain, with its ink cartridge yielding only 50 copies (that's roughly 25 cents per page). It is not the best choice for heavy users. The copy and scan functions don't work unless you turn on our computer.